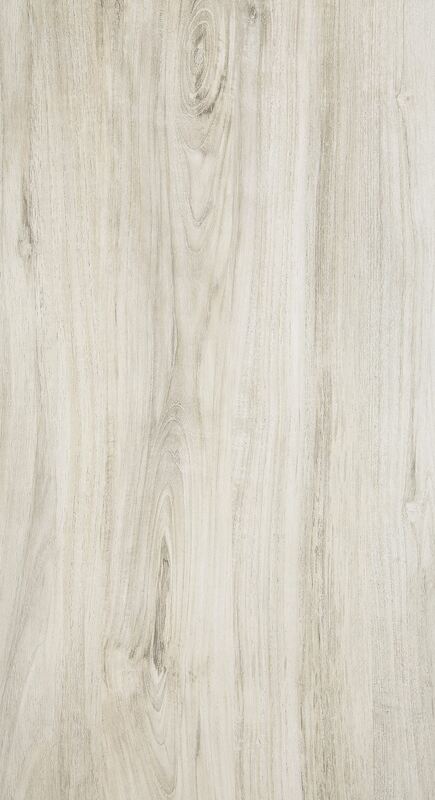 Let your inner rustic chic style shine with the Bellaby Entertainment Wall. 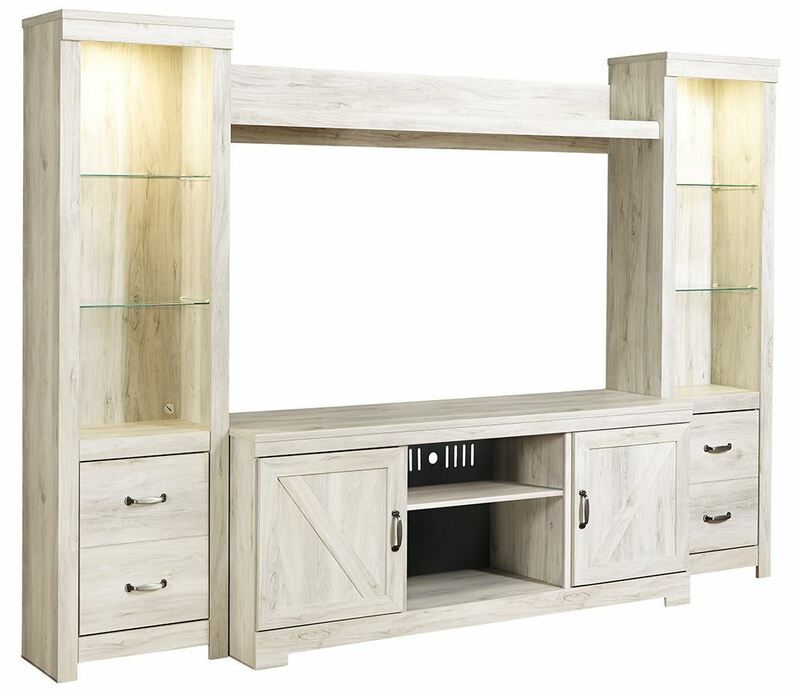 This trendy, functional set is sure to be a stunner in your home, featuring an antique white finish over replicated grain oak, barn door inspired styling, and stunning open glass shelving with display lights. 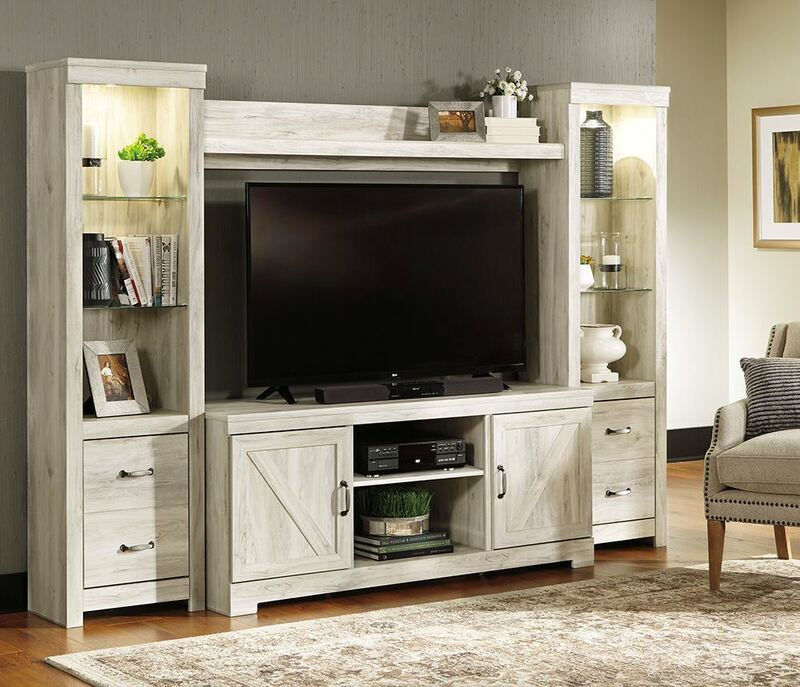 Not only is this set beautiful, it is incredibly functional, featuring two storage cabinets with adjustable shelves, a removable center shelf, and wire management cutouts. Add a breath of fresh air to your home, and say hello to storage and stunning style. Let your inner rustic chic style shine with the Bellaby Entertainment Wall.